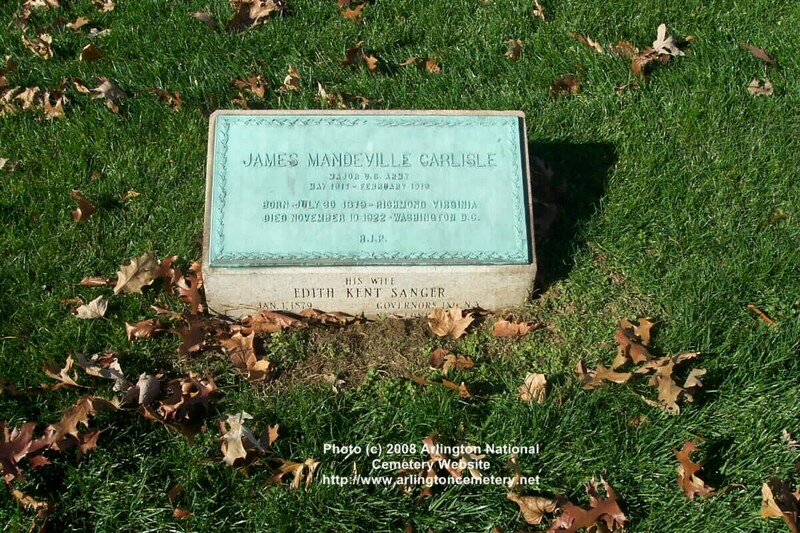 James Manderville Carlisle was born 30 July 1879 in Richmond, Virginia, and died on 10 November 1922 at Washington, D.C. He is buried in Arlington National Cemetery with his wife, Edith Kent Sanger Carlisle. She was born in 1879 at Governor's Island, New York, and was the daughter of Joseph Prentice Sanger, Major General, United States Army.